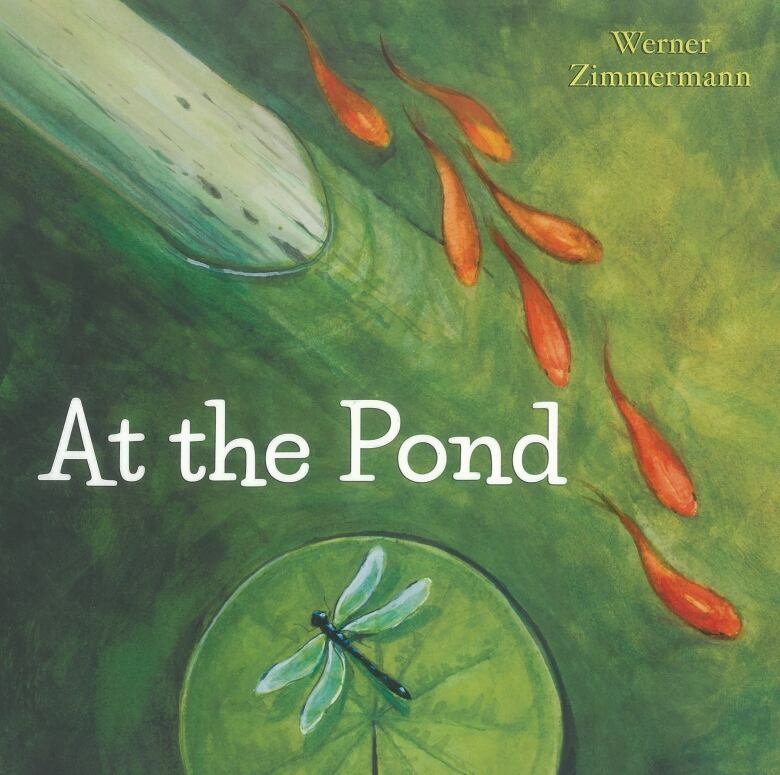 At the pond is a picture book by Werner Zimmermann. Spend a lazy summer day exploring a tiny, perfect slice of nature! Count goldfish as they swim about the tranquil pond. Watch as sunlight moves across the water. Spot a water lily blossoming, frogs and water striders hopping through, a heron flying by. 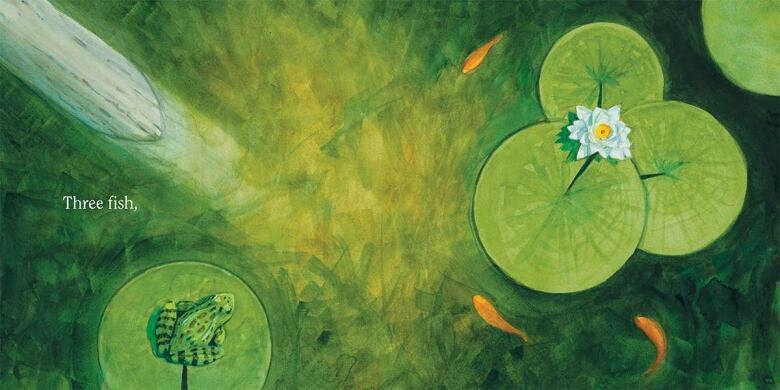 With a simple text and rich, lifelike paintings, Werner Zimmermann has created a peaceful meditation on nature and a unique and beautiful world for readers of all ages to enjoy. At the Pond is on the 2018 Governor General's Literary Award shortlist for young people's literature — illustrated books.